It’s somewhat difficult to make demands on essays for students – demanding that they have 500 words, for example, leads to really, really, very, extremely superfluous lists of adjectives and describing words like this sentence to up the word count. Other teachers use the page count as a metric of completion. But what happens when you have 4 and a half pages done of your five page essay? There are plenty of writing techniques to flesh ideas out and make it longer, but I’m assuming that your essay is perfect as it is and you want a more technological answer. Here are a few techniques that have served me well. I use them all the time. Note: This tutorial is for Microsoft Word as a part of Office 2007, although many of the same techniques can be used in previous or subsequent versions of Word. First, font or font size is a fairly easy way to make an essay longer. Some teachers demand that Times New Roman size 12 be used. However, when they forget to add that to the rules, you can change it to whatever you want (assuming there’s no blanket statement about it on the syllabus). You want to choose a font that maximizes height. Obviously you don’t want to choose a font that’s too difficult to read, as it may annoy the person grading it. Below is a picture of the word “Hello” printed four times, each at size 12. The fonts, from left to right, are “Angsana New”, “Calibri”, “Times New Roman”, and “Algerian”. Font size can also make a big impact on your paper. Going with a size 72 font will undoubtedly make your paper surpass the required page count, but isn’t the best idea. Just changing the font size from 12 to 13 can add a few lines to your paper. 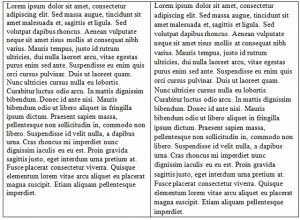 Below is a picture of identical text in two columns, both in Times New Roman, but size 12 on the left and size 13 on the right. Even if your teacher demands size 12 Times New Roman, you might be tempted to change it anyway. Slight changes are fairly hard to measure in a printout, however, it is possible. For instance, if a teacher were to print out the word “the” in Times New Roman size 12 on a piece of transparency paper, they could then hold it over a word “the” in your essay and confirm whether or not it’s identical. Probably not going to happen, but it actually has happened to me before. The spacing between lines is very difficult to measure because although in most fonts the top and bottom edges vary significantly. In some fonts, there is a common edge except for letters that hang above or below the line, but in fonts that are meant to look more like handwriting, there is not. In any case, even with common edges, it’s not likely that your teacher will whip out a ruler and measure. Too large a gap may arouse suspicion, but changing an essay from double spaced to 2.1 spacing may actually make a large difference. The thing to remember is that the longer the base essay, the more they amplify the length. So for instance, if your essay is 10 lines with double spacing, and you change the spacing to 2.1, you get an extra 0.1 of a line for every line you’ve written, and 0.1×10 = 1. So, for every ten lines you actually write, you get the effect of having written eleven instead. For an essay that’s 4.5 pages, this tiny change can easily bring you over the 5 page mark and is virtually undetectable. Below is two paragraphs, the left with single spacing and the right is 1.1 spacing. This really demonstrates the potential of the small change. To change the spacing between lines, you’ll need to access the “Paragraph” menu (I believe that in older versions of Word this could be done by going to Format -> Paragraph). 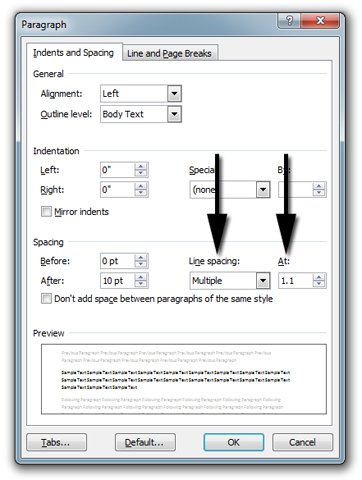 In Word 2007, it can be accessed by going to the “Page Layout” tab of the ribbon and clicking on the pop-out button of the Paragraph rectangle. From there, under Line Spacing, choose “Multiple”, and under At, choose a number close to something normal, like 1.1 or 2.1. You can increase this difference at the risk of the teacher noticing. 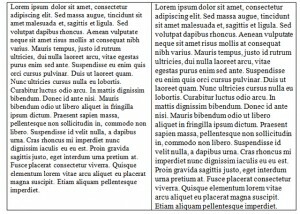 Changing the margins of a page is another great way to change the length of your paper. By decreasing the amount of space the words can take up per page, you increase the number of pages required to fit your existing content. Changing the left margin is a bit risky since most papers are left-justified, meaning that the left edge will be relatively the same for all papers. The right margin, however, can be changed to your heart’s content, since the length of words, number of letters, and number of spaces greatly affect each line’s right edge. You can also increase the amount of space taken up by the header and footer of a document. One final way you can make a paper appear longer is by adding more lines to the header of your document. If you make it too long, be sure to have it on only the first page and not every page, as this would be incredibly obvious. If your teacher demands that an essay be 5 pages long and no longer, but your paper is slightly longer, you can use these same techniques in reverse to make your paper look shorter. For instance, you can change double spacing to 1.9 spacing, or increase the margins. If you must have MLA format and the essay is turned in electronically the teachers will be able to see the changes of font size and other things. So the easiest thing for me is to increase the font size of just the periods to 14 instead of the required 12 font. This makes your essay lines more spaced out and sentences longer. Even though it is not a huge change, it makes a very big difference. In addition to that, I usually add just enough description to my sentences in order to barely create one new line of text before going to the next paragraph. It is also beneficial to end a paragraph on the second to last line of a page. That way the next paragraph is forced to appear on the next page altogether. If you are turning in your essay online, use these and the larger font periods only, as everything else will likely be checked by the system when you upload it. Unfortunately, this is not true. While it may not be obvious ow to inspect a PDF to get the font, the easiest thing to do is copy some text and paste it into Microsoft Word – it’ll retain its font. This helped me so much!!! It’s 5 am, my paper’s topic would have sent me to sleep hours ago if it weren’t for the Red Bulls, and you’ve been added to my list of “People I Will Buy a Drink for if I Ever Meet Them”. I don’t know you. But I love you. You are amazing. Another thing that I tried at one time was to bold the periods. it made my 4 1/4 page research paper into a 5 page paper. Just trying to help out some more. Recently I had to write a 12-page essay on a mostly-factual topic. It wasn’t pretty. I was on the eleventh page when I found that I simply couldn’t add any more to the paper no matter how I tried. A quick change to all the margins from 1.0 to 1.1 boosted my essay to fill the entire twelfth page! I wish I had found this article earlier, though, as I didn’t know that modifying the left margin is risky. In retrospect, I really should have just changed the line spacing from 2.0 to 2.1, but I couldn’t figure out how to do that thanks to Word’s confusing line spacing interface. Now I know that I can set the spacing to “multiple” and achieve the desired effect! 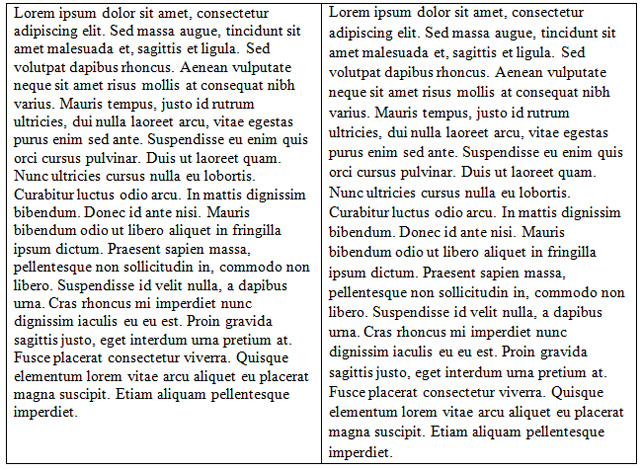 I also recommend “adding space between paragraphs of the same style” as is done by default in Word 2010. It doesn’t make a really significant difference, but for every paragraph you write you’ll gain about 1 extra line. To all you essay writers out there: these techniques should really only be used as a last resort. If you are able to flush out your entire essay, do that instead of modifying its layout. Only when you are completely stuck and need just one more page or so should you use the strategies here. I was struggling to write 10 pages of term paper. Thank you for the tips!!!! Thank you!! =,) Thank you so much! tnx so much that helps a lot .I had to write 3 pages and I only had 1 page and ur advice works!!!!!!!!!!!!!!!!!!!!!!!! You sir are amazing. Thank you SO SO SO much. I owe you a drink sir. It’s 5:00 A.M. and this paper is due in a few hours. Five and a half pages out of eight! Tough night oh and screw Marry Shelley and Frankenstein. I have two 12-15 page research essays due in the same week and this post just saved my life. I never would’ve thought of changing the line spacing from 2.0 to 2.1, but it added about another page length to what I’d already typed. Bless you. ERMERGERD these pointers helped out sooo much I absolutely hate typing term papers for my class and this helps out a bunch THANKS A MILLION. praise the man, you are the new black baby jesus. bruh, you are my sunshine on a cloudy day, I am your loyal friend to the ends of the fiery underworld, all of the twinkies shall be yours. may your palm tree forever sway high. This…I…well, thank you, brother. This is the greatest comment I have ever received. I feel giddy. Hey, I’m a TA and when I have to grade lab reports, I always select all and change to 12pt times new roman even if it looks like it is already, and I check the margins and spacing. I don’t actually ever have to take points off for length, just check to make sure that the essay has x number of examples of y thing and an explanation for each. Be careful because I know a few of the English TAs do that to all the papers before the prof. grades them if the TAs aren’t grading. thank you sooo much you just saved my English grade and my date that was depending on my English grade. you are the best person ever I love you!!! 3 page assignment due by the end of tomorrow, and had really hit my limit at around 2 1/2 pages of B.S’ing. 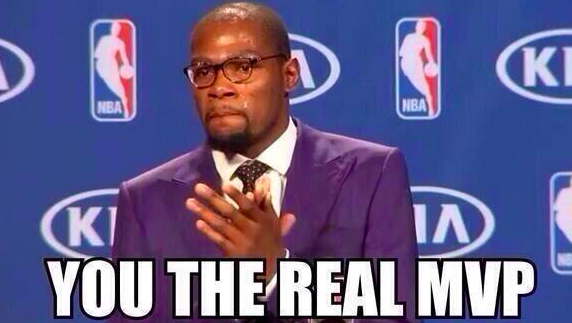 You’re the real MVP tonight. Are you married? If not, I’d totally marry you for this advice. Thank you so much, brilliant person! For me I had a required 12 point font size but if you type in a 12.5 point font size the it really helps without being too noticeable on a printed copy. This is a good tip because it will make the words pop off the page less, and therefore the teacher will have a harder time reading what you wrote. This is also good because if your teacher magically notices your letters are the wrong shade, you can blame it on your printer. There’s something so rewarding about sitting here screwing with margins, spacing, adding random and pointless space lines to the header, and going through the entire paper making every blessed period 14 pt font until the paper is long enough. Thank you so much for the tips! Another tip-increase the size of periods, commas, apostrophes etc. Ex if I’m typing in 12 size font, I increase the size for periods, commas etc to size 14. Another thing that might help is to have more paragraph breaks. Another good way to increase the amount of writing without actually writing more is to mess around with widow-orphan controls (Under line-spacing options). You can set it so that if you write a paragraph with one word on the next page, it’ll put another line on that page to make the one word less lonely. That can add at least a half-page if you work it right. Awesome. Better tip – Courier font is the biggest font and still passes as acceptable on essays. Check it out, I promise. Another way to make your paper longer is to double space between sentences. Not the double space between the lines, but in between the sentences double click the space bar. It’s what I’m doing right now and you might not have noticed until I told you. Its 2016, I’m exhausted, and I had to crank out 12 pages. You may not even read this comment. But you are a true American Hero. If you are ever in the state of Michigan (particularly the lower peninsula), I will purchase you a beverage. Infinitely grateful. Best of luck to you, sir! Verdana seems to be the largest proper looking font I’ve seen so far. I highly recommend it. The thing i do the most to make a paper longer if specifics are required is 2 spaces after the periods. depending on the length of the paper it can add half a page or more. I wrote a 75 page paper over the summer, with every detail specified, except nothing about spaces between sentences. 69 with one space, 72 with 2. This just saved my life. English 1101 is going to be the death of me….can’t wait for next semester. OMG. Heart u! 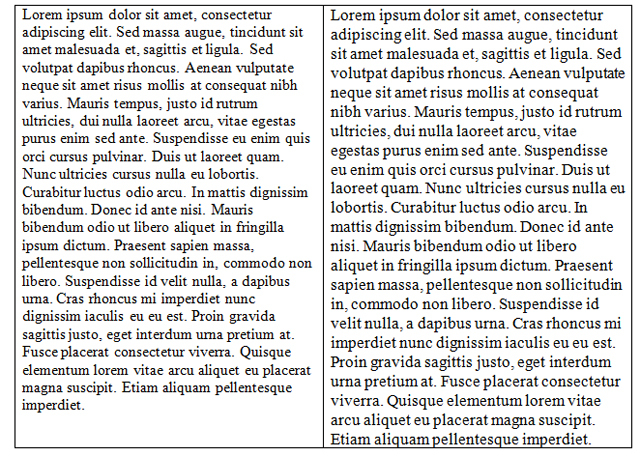 My teacher says she knows a font near identical Times N Roman, but a teeny bit wider, so it makes 3 pages 3.5 pgs. Any Ideas? Not a typical trick but if it is permitted use Chicago style citations (or any footnote based citation style… if any others exist). While it does not technically add to the length of an essay as references do not count the lines upon lines of footnotes can add pages upon pages to an essay. At certain points I have literally had half the page just be lines of footnotes. While it obviously adds nothing it does provide the illusion of a lot more going on, especially if it is something you have to print out. Plus you know it looks better, is easier to read, and makes paraphrasing a breeze. If your essay is to be turned in digitally, there is an extremely underhanded tactic that can be used to increase word/character count. Turn the font color to white, then place random periods in your essay. This will cause the character count to go up, and is almost impossible to detect unless it is being actively searched for. This man has saved me on around 50 essays and will continue saving me. Tank you Jacob Binstein. Another cool trick is to use the replace all tool to change just the punctuation from size 12 to size 14 fonts. I have a 2-page essay due in 9 days and I can’t include pictures or sites in the length. This will help a lot. Thanks! wow this actually really helped with my paper. thanks so much but I wish I found this a few years ago. btw a really good font that you can use is courier new and it makes it look good and takes up a lot of space just saying think about using it. Merriweather is bigger than all of your fonts. Thank you!! I am bolding the periods and changing the line spacing!! Helped so much! Thanks, bro. More like Jacob Einstien bro. Heck yeah, man. Hi, I’m a college instructor, and we know all these tricks. Some of them I deduct points for. Others I will return an essay ungraded for. You know what is an even better idea? Write to the actual demands of the assignment. Or don’t, but ooh I hope you end up in my class. Some instructors know some of these tricks. But it would be a far cry to say that all instructors look for all of these. You know what’s an even better idea than searching out articles which, to you, are apparently irrelevant? Writing assignment instructions which don’t require an exact number of words. Good Job Jim! Congrats on killing the creativity of the nation and forcing students to suffer through your class by making them meet arbitrary standards that teach them to use fluffy jargon instead of clear concise points! Pat yourself on the back Jim! You can also hit enter a couple times in the header sections, which effectively makes each page start a couple lines farther down. Lol that professor’s comment cracked me up Thx for the laughs. Some of the best advice I have ever received on increasing page length of an essay, is to go through each paragraph, and try to find a way to add words so that the last line just barely word-wraps. What I mean is that the last line of each paragraph should have only 1 or 2 words. This makes a huge difference, especially if you have a lot of paragraphs. I don’t think I’ll worry about my teacher noticing any of these tricks since when I asked him if he wanted the paper in MLA, he asked what MLA was… Thanks for this! any one here in 2019?? Courier New is way bigger that Algerian.